The toilet was rocking, so we had to open up the floor to see what was going on. 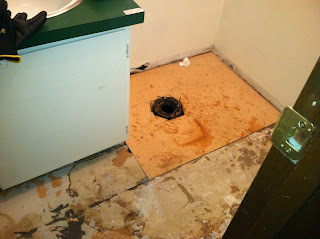 It was obvious someone else had tried to fix this in the past. And then re-sheeted the entire bathroom floor. 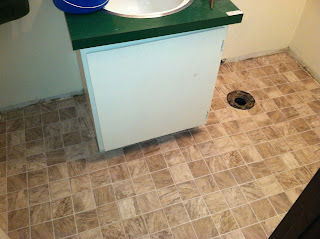 Next, we installed new vinyl flooring. 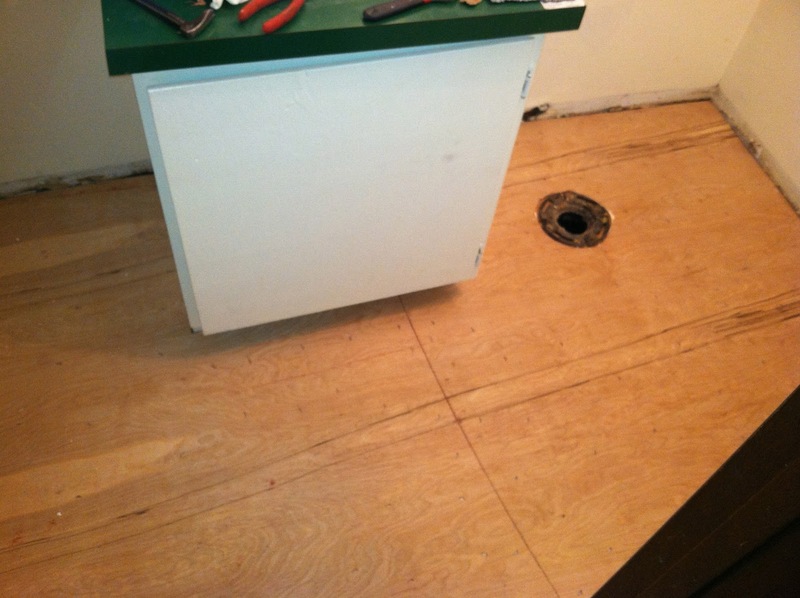 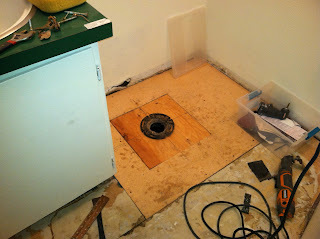 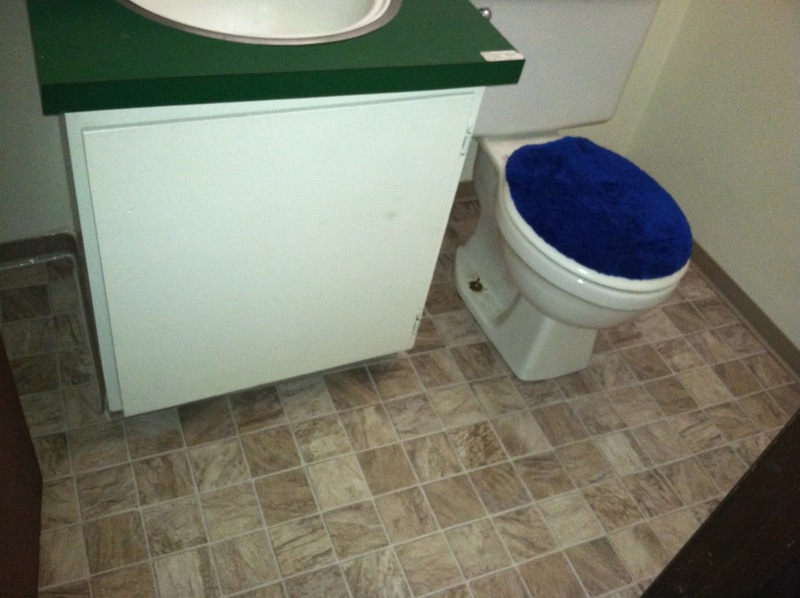 And re-installed the toilet and new floor base.